Each card is printed on a white matte card stock. It's perfect for the bearded friend in your life. When folded this card measures 5.5 x 4.25. The card comes with an envelope. The paper & envelope color in the photos are a close approximation of the paper colors. It's the perfect Christmas Card or Christmas Card that's Funny to give to your friends. Santa has a beard... Why not celebrate XMAS with it? 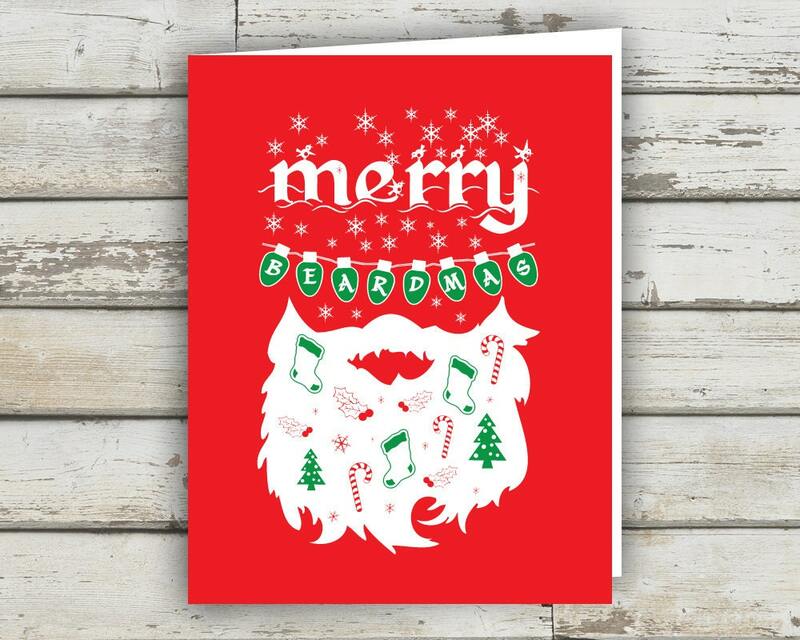 Santa's Beard is perfect for hiding this Christmas Card Set before XMAS!